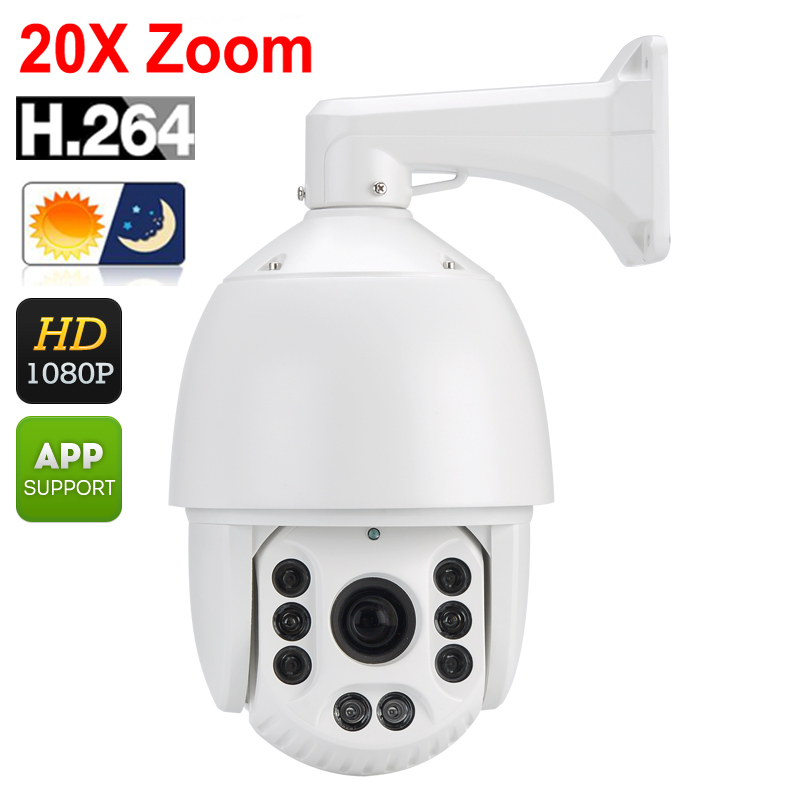 Successfully Added Auto Tracking PTZ Dome Camera - 1/2.8 Inch CMOS, 20X Zoom, 120 Meter Night Vision, IP66, Fast Pan + Tilt, 1080P, 256 Presets to your Shopping Cart. IP66 waterproof rated for use outdoors or in. This high performance outdoor PTZ dome camera brings advanced auto-tracking allowing it to follow suspicious movements via motion detection so nothing goes unnoticed. Alternatively it can go on continuous automatic patrols by panning and tilting based on preset locations. So with up to 256 preset locations the camera will cover every inch with its watchful gaze leaving no blind spots to hide. With auto 360 degree panning and 180 degree flip even the most nimble won't shake the vigilant watch of this auto patrol security camera. It's your 24/7 sentinel with 8 powerful IR array lights and IR cut it will bring a clear view of objects even in in low-light conditions thanks to a 120 meters night vision that works in lighting as low as 0.01 Lux. This video patrol security camera can be controlled remotely allowing users to track and monitor the movements of suspicious individuals. With the UMEye app you can view everything directly on your smart phone. A super solution that will give your security the edge over any would be thief. Featuring a 1/2.8 inch 2MP CMOS sensor this powerful PTZ IP camera brings 1080P resolutions with a high contrast and pin sharp focus so identifying individuals easy. With its 4.7 to 94mm lens the camera can achieve a 20x optical zoom letting you focus in on any detail and bring clear images even of distant targets. This could be crucial in identifying thieves, vandals or damage and allow for swift justice in recovering any lost goods or compensation for damages. 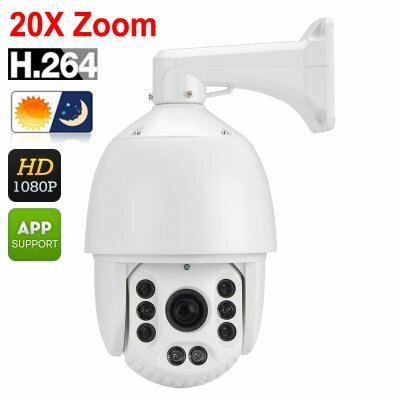 A professional solution at wholesale prices this outdoor PTZ dome camera comes with a 12 months warranty, brought to you by the leader in electronic devices as well as wholesale Security cameras..